TODAY ONLY! Jane is offering this Raw Step-Ham Jegging for just $13.99 down from $59.99! Shipping is $3.99 for the first item and $1.99 for each additional item. This best-selling jeggings style, now with an on-trend distressed detail! Dress for a night out or make a statement at your next party with this fashion-forward style! This deal expires on March 5! Head over to Jane where you can score these Stretchy Jeggings for just $15.99 down from $29.95 PLUS FREE shipping! These are super stretchy jeggings that come in 7 colors. They will be your favorite pant, as they are light weight and so comfortable! The comfort of a legging with the look of skinny jeans. Until February 18 only! 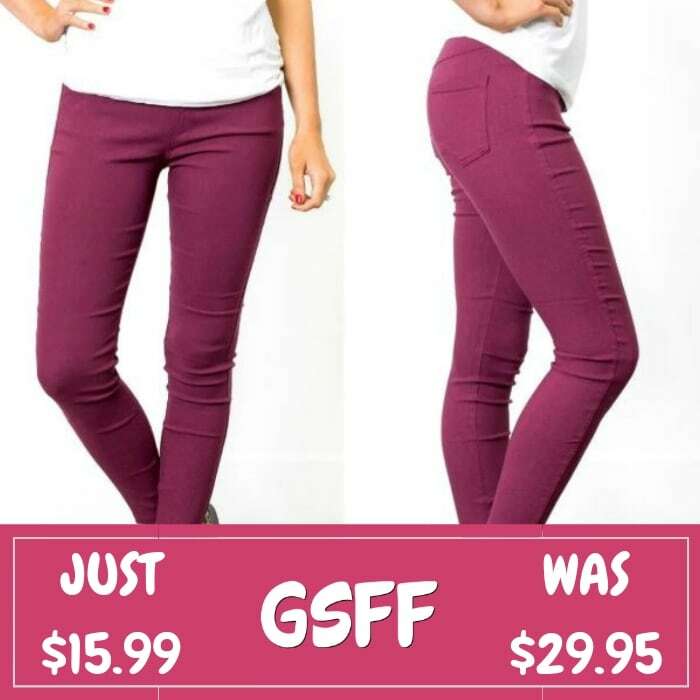 Head over to Jane where you can score these Stretchy Jeggings for just $15.99 down from $29.95 PLUS FREE shipping! These are super stretchy jeggings that come in 8 colors. They will be your favorite pant, as they are lightweight and so comfortable! The comfort of a legging with the look of skinny jeans.